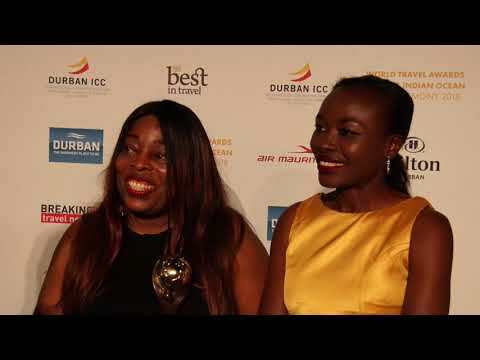 Rekia Musa, front office manager, and Henrietta Omogbai, reservation manager, at the Wheatbaker in Lagos, Nigeria, speak to Breaking Travel News as the property is honoured with the title of Nigeria’s Leading Boutique Hotel at the World Travel Awards. AccorHotels has announced the beginning of a new partnership with TomHawksworth, a prominent property and real estate developer, with the signing of Pullman and MGallery Ikoyi in Nigeria. The government of Nigeria has revealed the branding and livery for a new national flag-carrier, Nigeria Air, at the Farnborough Airshow. The development comes nearly 15 years after the previous state-run airline, Nigerian Airways, ceased operations and was greeted with some scepticism. Nigeria has held onto its pole position for hotel development in west Africa despite a slight reduction on last year, according to a regional focus by the influential annual hotel pipeline survey from Lagos-based W Hospitality Group. Radisson Blu has opened its third hotel in Nigeria, and its second hotel in the country’s largest city, Lagos. Carlson Rezidor Hotel Group now has a portfolio of 85 hotels, and over 17,800 rooms in operation and under development in Africa. Marriott International and Landmark Africa Group have announced the signing of Renaissance Lagos Hotel and Marriott Executive Apartments. Hilton and Transcorp Hotels, a subsidiary of Transnational Corporation of Nigeria, have announced the signing of a 20-year extension to the current agreement to manage the Transcorp Hilton, Abuja. The agreement will see Hilton manage the property until 2037. Breaking Travel News catches up with Shola Adeyemo, public relations manager, Transcorp Hilton Abuja, Nigeria, as she steps off the stage at the World Travel Awards Africa Gala Ceremony 2017. Located in Nigeria’s commercial centre and city known for its music, fashion, cuisine, art and nightlife, the Renaissance Lagos Ikeja will offer world-class amenities, modern aesthetic, sophisticated service and unique programming that reflect the brand’s signature approach to feed the curiosity, fuel the imagination and excite the senses of its guests. Transcorp Hilton Abuja has been honoured with five awards by the voters of the 23rd World Travel Awards for the second year in a row. 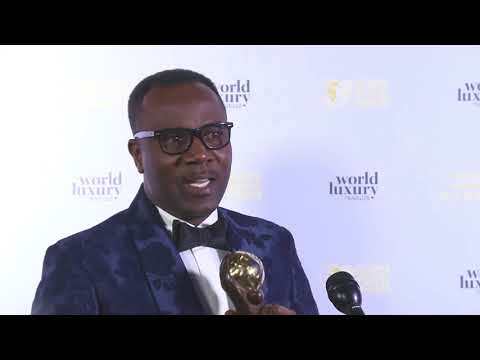 The hotel, which is owned by Transcript Hotels, the hospitality subsidiary of Transnational Corporation of Nigeria, emerged winner of the prestigious World Travel Awards for Africa’s Leading Business Hotel, Nigeria’s Leading Business Hotel, Nigeria’s Leading Hotel, Nigeria’s Leading MICE Hotel and Nigeria’s Leading Hotel Suite (the Presidential Suite) at the Africa & Indian Ocean Gala Ceremony. Arik Air is increasing its frequency on the Lagos-Dakar route to a daily service, up from six weekly flights. The new schedule, which will operate from February 22nd, will operate with four of the Lagos-Dakar flights routed via Abidjan, Cote d’Ivoire instead of the previous routing via Banjul.